The summer belongs to the New Era! For the first time ever, the newly-created WWE Universal Championship is up for grabs when “The Demon King” Finn Bálor goes toe-to-toe with “The Undisputed Future” Seth Rollins. In a battle between Suplex City and Viperville, Brock Lesnar takes on Randy Orton in a match “15 years in the making”. In a rematch from WWE Money in the Bank, AJ Styles and John Cena look to up the ante to see who is the better man. The rivalry between Dean Ambrose and Dolph Ziggler heats up even further when they face off for “The Lunatic Fringe’s” WWE World Championship. The WWE Women’s Championship takes the stage when champion Sasha Banks defends her title against Charlotte. Plus much more as the Superstars of Raw and SmackDown Live turn up the temperature at WWE SummerSlam! Plus more action, extras and Blu-ray exclusives! It’s WWE’s second biggest event in the year and a major landmark moment in the “New Era”. SummerSlam not only crowns the first ever Universal Champion, but is stacked with the hottest young talent that WWE has to offer and the future of sports-entertainment – Finn Bálor, Sasha Banks, Enzo & Cass, Kevin Owens, Apollo Crews and Becky Lynch to name just a few. There’s also a captivating battle between two of WWE’s most formidable veterans – Brock Lesnar and Randy Orton. They are two Superstars who trained together, climbed the ranks at the same time and notched up multiple championships, but have never faced each other on PPV. What happens between them is one of the most shocking and controversial matches in WWE history. Check out a genuine match of the year contender as John Cena and AJ Styles find out who truly is “face that runs the place”. It’s a sizzling, heart-stopping encounter between two Superstars at the absolute top of their game. In fact, the action is electric from top to bottom, with every Superstar pulling out the stops to make this an unforgettable night – and the biggest SummerSlam in the event’s 28-year history. A must-have for every WWE fan! 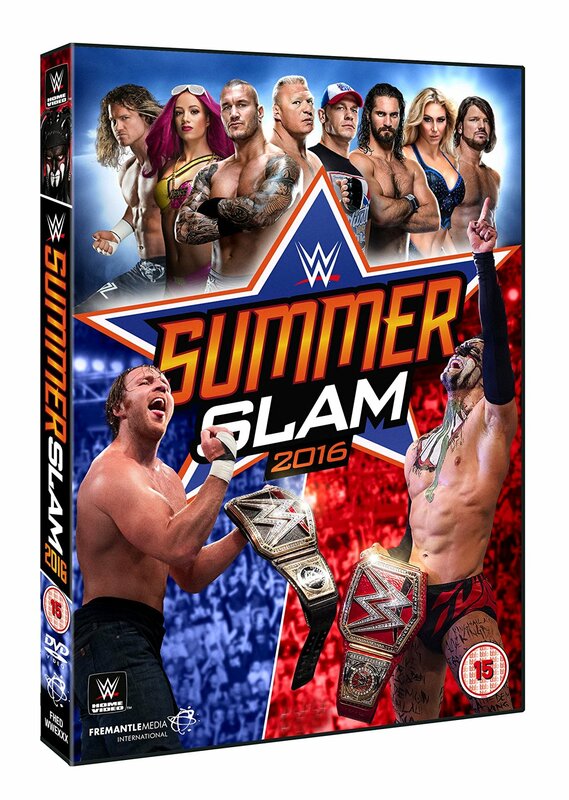 WWE SummerSlam 2016 will officially be released on DVD and Blu-ray on Monday October 10 2016.